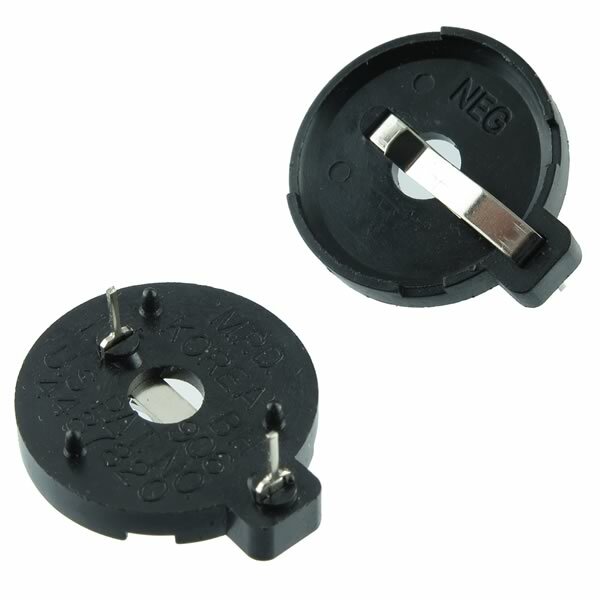 23mm diameter horizontal mount coin cell battery holder for CR2325/CR2330 type batteries. Size: 1.15" at widest point x 1" x 0.320" tall. Features 2 PC pins (0.70" centers) for PCB soldering. Has 3 plastic stabilizing pins on bottom. Memory Protection Devices Part# BH906. Retails for $3.75. Sold in a package of 2.